I drew a book about the comic misadventures of American Spy Blimps from Florida to Afghanistan. It’s called Spy Blimp. Spy Blimp will be available at SPX! It’s also available for $5 at my store. The term “mass incarceration” refers to the unique way the U.S. has locked up a vast population in federal and state prisons, as well as local jails. But this academic sounding term doesn’t capture the insanity of the situation. The “tough on crime” punishment philosophy of the 1980’s and 90’s, combined with a heinous “War on Drugs,” led to legislation under Republican and Democratic administrations that used a jail cell as a first, rather than last, resort for people who broke the law. This uncompromising posture, which often exploited racial fear, became an essential part of running a political campaign. For years, elected officials competed with one another on how brutally they would be willing to punish people who broke the law, especially regarding drug-code violations. Legislators enacted policies that led to more people being locked away for increasingly smaller offenses, and combined them with further policies that kept people locked up longer. It somehow became understood as acceptable to put people in prison for non-violent crimes. But there is nothing normal about the way the U.S. locks away its citizens. In fact, it’s unparalleled anywhere else in the world, even compared to the most repressive regimes. Within the last few years, both Democrats and Republicans seem to be acknowledging the need for reform. It’s as if they’ve woken up from a decades-long stupor. There are so many associated issues that need attention as well — the racial bias at every level of the criminal justice system, the use of solitary confinement, unemployment and recidivism, the way we deprive felons of their rights as citizens — the list goes on and on. The good news is that for the first time in 33 years, the federal and state prison population declined in tandem in 2014.¹⁰ But 1 or 2 percent annual reductions will not solve this problem. We need radical reform to confront the massive damage that’s been done. The first step is acknowledging the senselessness and inhumanity of mass incarceration, and understanding that millions of people are waiting every day for reform to come. (1) “Correctional Population in the United States, 2010.” Retrieved from The Punishment Imperative, by Todd Clear and Natasha Frost, 2014. (2) “Probation and Parole in the United States: 2007 Statistical Tables” 2009. (Washington, DC: Bureau of Justice Statistics. Retrieved from The Punishment Imperative, by Todd Clear and Natasha Frost, 2014. (4) The War on Marijuana in Black and White. 2013.American Civil Liberties Union. (5) Report on the Continuing Impact of United States v. Booker on Federal Sentencing. 2012. United States Sentencing Commission. Incarceration rate by country[image]: World Prison Population List (11th Edition) 2015. Institute for Criminal Policy Research. (6) Mental Health Problems of Prison and Jail Inmates. 2006. Bureau of Justice Statistics Special Report. (7)SMART on CRIME: Reforming The Criminal Justice System for the 21st Century. 2013. U.S. Department of Justice. (8) The Punishment Imperative, by Todd Clear and Natasha Frost, 2014. pages 120–121. (9) The Misleading Math of ‘Recidivism’ 2014. Dana Goldstein. (10) State, Federal Prison Populations Decline Simultaneously for First Time in 36 Years. 2015. The Pew Charitable Trusts. It’s the piece of personal technology that the government has always dreamed of. We’ve heard a lot about how ISIS uses social media to recruit new members and spread it’s message. 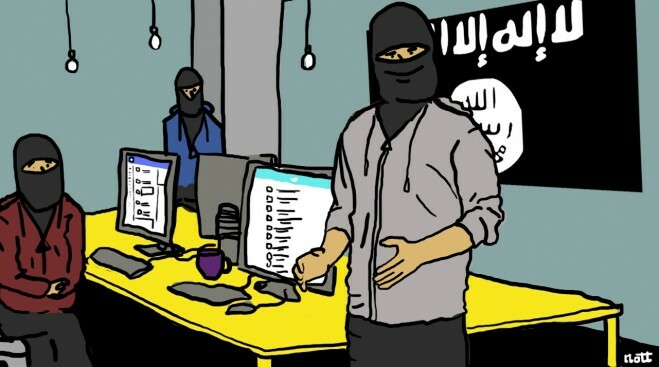 And as MATTER pointed out– if ISIS was a start-up, they’d be working with some pretty impressive statistics. But we could never have guessed how much the start-up mindset is engrained in their culture. Recent documents acquired by the Gabbler show ISIS’s latest pitch to investors. 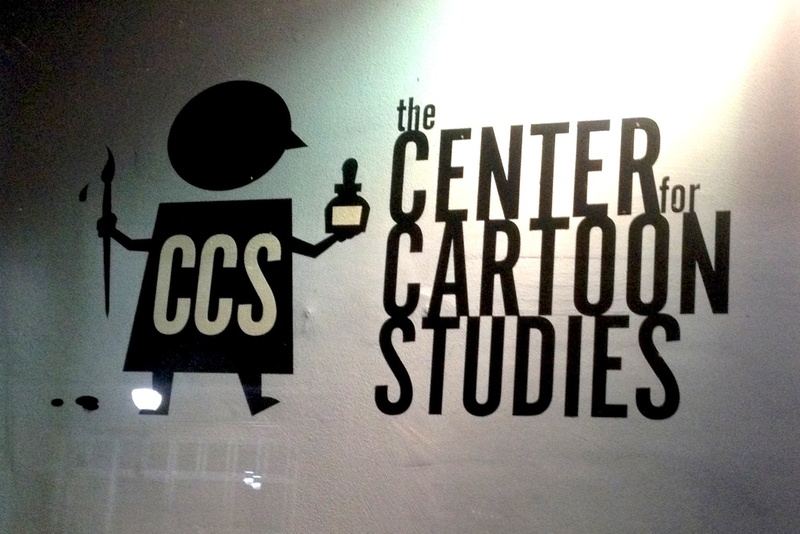 I’m off this week, taking a class on graphic novels and narrative comic-making at the Center for Cartoon Studies in White River Junction, VT.
I’ve also been working on a particularly difficult cartoon about the language of the conflict in Israel and Gaza, which I will publish as soon as I can stop revising it. More soon!